When her best friend is murdered, Julie O'Hara, a body language expert, packs up her suspicion and flies to Boston for his funeral. Who could have killed rising artist Marc Solomon, and what does Castle Cay, the Solomons' mysterious Caribbean island, have to do with it? Before long, Julie's sixth sense pulls a hidden string that unravels a deadly conspiracy and her own troubled past. This is a powerful true story of one young girl's struggle to survive the state-care-system in the 70s and 80s. Amelia has just one wish, to make it through to adulthood and hold her destiny in her own hands. This is a harrowing true story, one of survival and human strength. Amelia has been tragically separated from all her siblings, never to see them again for many years. A shy girl with no family, Maria knows she's lucky to have landed in the sewing room of the royal household. Before World War I casts its shadow, she catches the eye of the Prince of Wales, a glamorous and intense gentleman. But her life takes a far darker turn, and soon all she has left is a fantastical story about her time at Buckingham Palace. Decades later, Caroline Meadows discovers a beautiful quilt in her mother's attic. 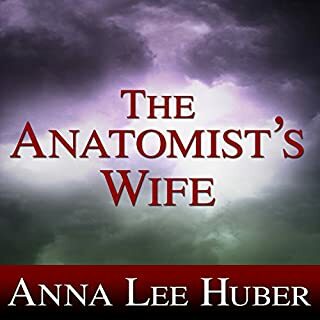 It's the summer of 1880, and once again the lovely and inquisitive businesswoman Annie Fuller is helping San Francisco lawyer and beau Nate Dawson with a troublesome case. 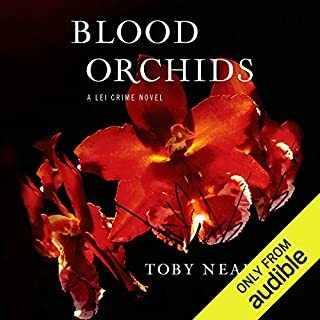 Nate's client, a female typesetter accused of murdering her boss, refuses to help in her own defense. 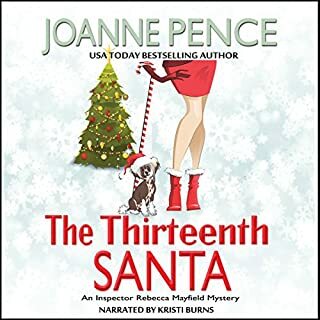 Complicating matters, Nate's sister, Laura, insists on getting involved in the potentially dangerous investigation, while Laura's friend, Seth Timmons, troubled Civil War veteran, finds himself a witness for the prosecution. Will Nate be able to win his first big case? Will Laura and Seth find some way of remaining friends? And finally, will Annie and Nate's upcoming nuptials be derailed by their attempts to track down a killer? 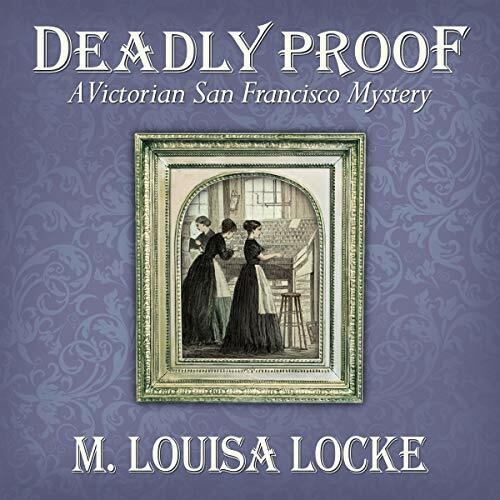 Old friends and new listeners alike will enjoy Deadly Proof, this fourth installment of the cozy Victorian San Francisco Mystery series that blends light romance, suspense, and a glimpse into the lives of late 19th-century women who worked. This was an interesting, clean book with a wonderful narrator. I recommend it to everyone who enjoys a good mystery. 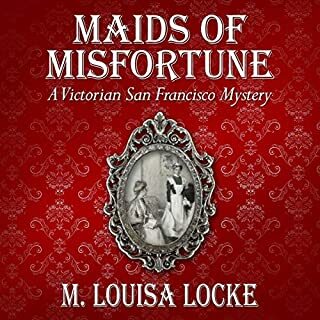 I thought that this book was fantastic as well as the whole series of the Victorian San Francisco mysteries! I am hoping that Mrs. Locke adds more to the series. I would like to continue hearing about Annie and Nate along with Nate sister, Laura and Seth who looks like he is most definitely Laura's love interest. 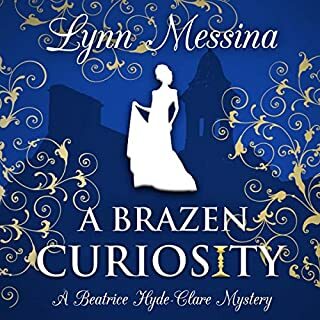 One of the things that I enjoy about the series is it is packed full of historical detail so that the reader actually feels as if they are back in San Francisco during the Victorian era. 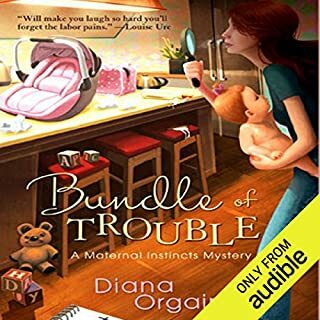 I would recommend the book in the series to anyone who loves a good history oracle cozy mystery! I have to say that each of the books that I've listened to have left me on the edge of my seat. Leaving me wanting the next one Pilfered Promises to be on audible. Another enjoyable read/listen by M. Louisa Locke. The audio version by Alexandra Haag helped bring this story to life. A very good joint effort by two very talented artistes. I especially liked all the twists and turns that kept me guessing and I will admit to being quite surprised in the end as to who the murderer really was. In addition to this, the love and mutual respect building up between Anne and Nate was lovely to read about. It seems that Nate's younger sister is getting up to a bit of mischief in this story which is quite refreshing. This is the third stand-alone story in the series that I have read so far and I can quite happily recommend each one of them. I loved it! This was a great book and was very hard to put down. I don't know why this author's books are always read by awful narrators. It's hard to tell if the writing is any good as the narrator is so blah!!! Another great addition to this series! The author and narrator make the listener long for the next installment!